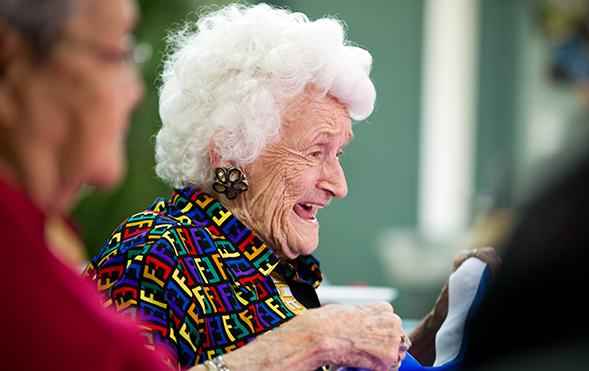 Many older people can find the days long and lonely in their own home. Available five days a week, our much-loved Day Programme is part of our philosophy of caring for older people in as many ways as possible. 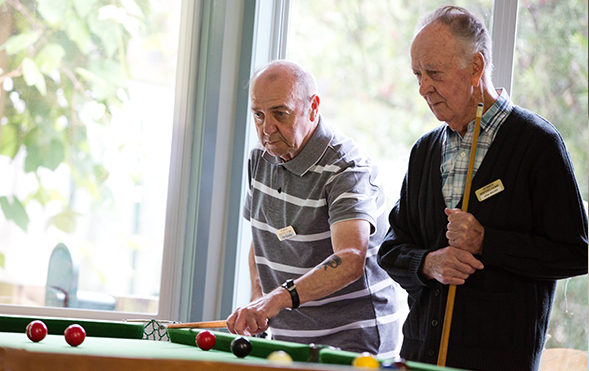 The Programme provides a day of activity, friendship and fun, as well as time out for family and caregivers. 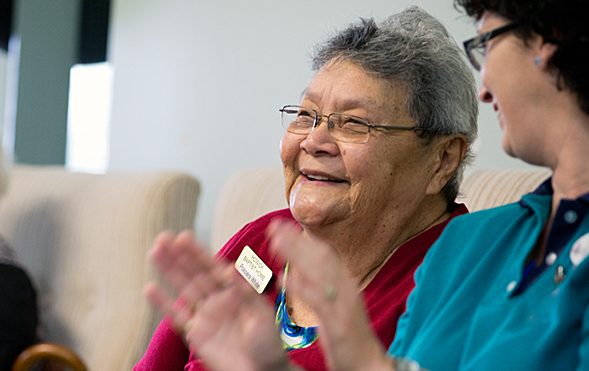 To support older people in our community to stay independent, and to reduce stress for caregivers. Our Day Programme runs from 8am to 3pm five days a week. (Later end time may be possible, please enquire). The day comprises a wide range of activities (depending on attendees’ interests), including indoor sports, games, music, crafts and lunch – and of course, regular tea breaks! Transport is included to and from our venue (additional fee applies). All meals and snacks provided with meals supervised by a dietician. 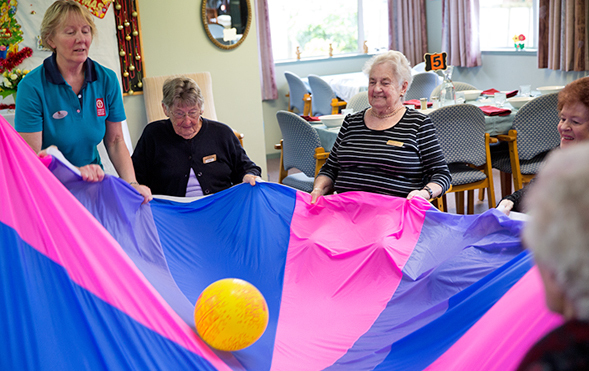 Our Activities Assistants plan each day’s activity and events, and support attendees to undertake hobbies, activities and spontaneous events. Volunteers help with a range of activities including a helping hand for those who need it, friendship and ‘just chatting’. 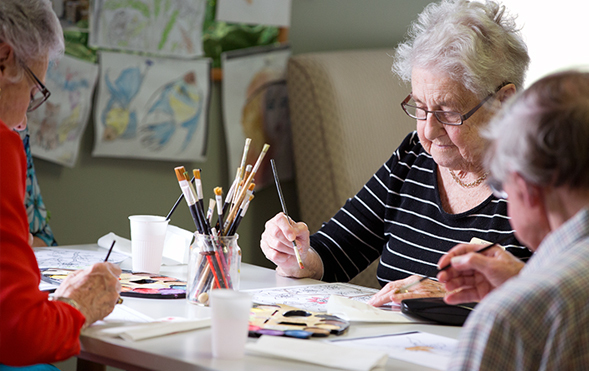 The programme is held in a purpose built venue adjacent to our Rest Home and Hospital. What does everyone love most about our day programme? Everybody is so friendly and we as a family feel very comfortable to discuss any worries we may have – we always feel very welcome. If you have to be in a home, this is the one. Everyone is pleasant, their smiles bring fresh air and sunshine. I like the friendliness, cleanliness and the way it’s run. I feel safer here than at home. Being able to walk in at any time and then leave again knowing Dad is very well cared for. All of the staff do such a great job and we appreciate it very much. I feel very well looked after. I don’t feel like I live in a hospital – it feels like a home most of the time. My family are delighted for me. They’re so happy to know that I’m so happy and contented here. The caregivers help and join in doing things I like to do like helping me create rose petals for my sister-in-law’s upcoming wedding. What I like is that my Dad has 24-hour attention in beautiful, clean, sunny surroundings. The qualified friendly staff are to be commended. I have been in a few places and HBH is my favourite. I would definitely recommend it. I like the staff and the other residents.